Health Benefits of Superfoods !!! (Component of Hemoglobin, and Oxygen-Carrying Protein)*handful of cacao beans contains 314% of the daily iron intake needed. Improves digestion, & absorption of fat-soluble vitamins and amino acids. Supports immune system thyroid gland, nervous system, and skin. Increases metabolism, supports weight loss. Supports cardiovascular health and healthy cholesterol formation in liver. Fewer calories than any other fat source. Balances & Stabilizes Musculature & Cardiovascular Glandular-Hormonal, and Nervous Systems. Known to improve many conditions including anemia, fatigue, depression, infertility, menopausal & menstrual symptoms, poor memor, stomach cancer, stress tension, and tuberculosis. Often called runners food Chia is a nutrient rich superfood that provides sustained energy for your body. It's packed with more than 8 times the omega-3s found in Salmon. It has more antioxidants than blueberries, & more fiber than oatmeal. She says the powder has amazingly high nutritional contents. It has more vitamin C than oranges, and more calcium than milk. The fruit powder is also said to be rich with antioxidant elements, more than double the figures reported for pomegranates and cranberries, and more than three times the reported figure for blueberries. It contains more potassium than apricots, bananas, peaches and apples, and also has magnesium content above that of bananas, apricots, peaches and apples. The powder has higher antioxidant levels compared to other fruits including apples, apricots, bananas and peaches. It contains more iron than spinach and apples, in addition to containing higher levels of dietary fibre than most fruits including apples, peaches, apricots and bananas. 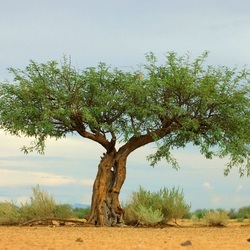 Pectin is one source of fibre in baobab and has been reported to have a role in reduction of total and low-density lipoprotein (LDL) cholesterol, which might cause blockage of blood vessels. In other countries in Africa and Europe baobab products, such as jams, teas, nutrition bars and powder ingredient mixes are already available. Baobab leaves can be used as a dish and can heal stomach ulcers, typhoid, and an instant energy booster. Mildor also extracts oil by cold-pressing the seeds of baobab. The semi-fluid golden coloured oil has a gentle scent and is rich in Vitamin A, B, C, D and F, and can be used as medicine for treatment of several diseases. 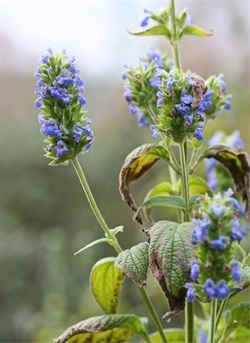 Christine says it is supposed to be taken two teaspoonfuls daily, and is said to increase body cells, body CD4, and build a healthy liver and kidney. 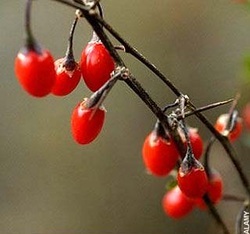 It also helps to remove cholesterol, body poison and reduce body weight. Welu Shagile, 65, is one of the users of the oil and she says it has helped her recover from weight problems. “I used the oil for two months and I have lost 15 kilogrammes. I was suffering from excessive tiredness and now I am fit to walk around and take care of myself,” she says. Rich in fiber, magnesium, iron & contains up to 17% protein. Has a high L-Lysine content. An essential amino acid. 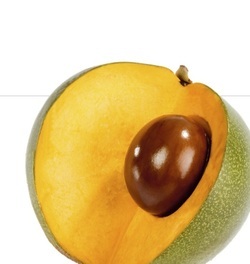 Lucuma is considered a healthy alternative sweetener as it lends a sweet taste to recipes, but is very low in sugars. With naturally occurring beta-carotene, niacin, and iron, lucuma powder is a welcome antidote to notorious “empty calorie” sweeteners. Contains 920% daily value of vitamin C. That’s 30 times more vitamin C than oranges! Significant source of calcium, amino acids and antioxidants. 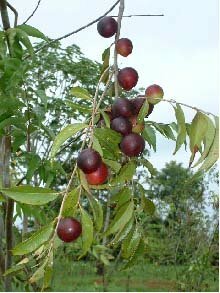 Camu Camu has traditionally improved the function of the brain, eyes, heart, lungs, liver and skin. Coconut sugar, derived from the flowers of the coconut tree, is an organic, sustainable natural sweetener that shows promising results for people who suffer from chronic illnesses or conditions such as diabetes, gallstones, cancer, heart disease and obesity. This sugar has a low glycemic index and is also a nutrient powerhouse, filled with lots of vitamins, minerals and amino acids. Coconut sugar is minimally processed, unbleached and contains no preservatives. Coconut sugar contains the minerals calcium, magnesium, potassium, zinc, iron, copper, manganese, phosphorus and boron. Minerals are necessary for many body functions, such as muscle and bone growth, cell production, mental development and immune system and enzyme regulation. Because the body cannot produce minerals, it is imperative that you find them through food sources. Minerals are also necessary for vitamins to work efficiently in the body. Coconut sugar also contains 12 of the B vitamins, including thiamine, riboflavin, pyridoxine, nicotinic acid, biotin, pyridoxal and inositol. It is especially high in the vitamin inositol, which is necessary for nerve transmission, metabolism of cholesterol and the redistribution of fat within the body. In addition, inositol has been used to treat diabetes, depression and panic attacks. 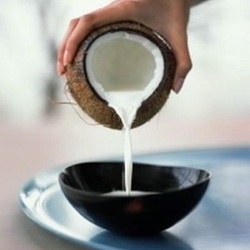 Coconut sugar contains 16 out of the 20 amino acids. This sugar is especially high in the amino acids glutamic acid, which makes glutamine, threonine, aspartic acid and serine. Glutamine is very important for metabolic function. According to the University of Maryland Medical Center, glutamine can also be effective for healing of wounds and injuries, building up the immune system, treating inflammatory bowel syndrome, helping with HIV/AIDS patients and possibly aid in the treatment of cancer.